With the hope of securing seed funding for its future Southwest campus, the Austin Community College District looks to improve the quality of life for students by monetizing an underutilized office building. 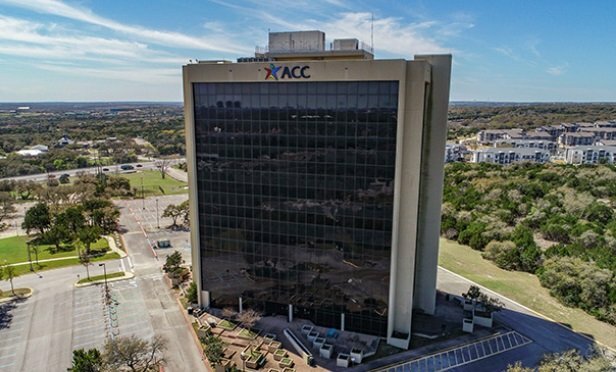 The ACC Pinnacle Campus is a 100,000-square-foot underutilized office building on 9 acres. AUSTIN, TX—Recognizing the overall strength of the Austin market, with the hope of securing seed funding for its future Southwest campus, the Austin Community College District continues its asset stewardship efforts. Part of those efforts include improving the quality of life for students by monetizing an underutilized asset. The opportunity includes the ACC Pinnacle Campus, a 100,000-square-foot office building on 9 acres. For an acquisition/redevelopment candidate, the site is suited for multiple uses, including office, multifamily and general commercial. CBRE has the exclusive marketing assignment of land and improvements on behalf of Austin Community College District. W. Gaines Bagby of CBRE’s Austin office and Peter Jansen with CBRE’s public institutions and education solutions team are representing the sellers.